Kirsten Tibballs, who Masterchef proclaims ‘the queen of chocolate’, is one of Australia’s most celebrated and internationally respected pastry chefs and chocolatiers. She’s an author, an award winner and an ambassador for Callebaut. To transfer her knowledge to other passionate foodies and professional chefs in Australia, Kirsten established Savour Chocolate and Patisserie School in Melbourne in 2002. Savour School has a state of the art facility in Brunswick and plays host to renowned international chefs each year. Many of the school’s students have gone on to open their own boutique chocolate shops and patisseries around the world. Tell us about your beginnings as a pastry artisan? I have had a passion for chocolate and patisserie from a young age. I started a small birthday and wedding cake business from home from the age of 12 as I didn’t attend High School. At the age of 15 I started my pastry chef apprenticeship and I haven’t looked back. I have always enjoyed harmonising flavours and the artistry of a pastry chef. What are the most important moments in your professional career? So far I have had some amazing highlights in my career, representing Australia and winning a gold medal at the Pastry Olympics in Germany. 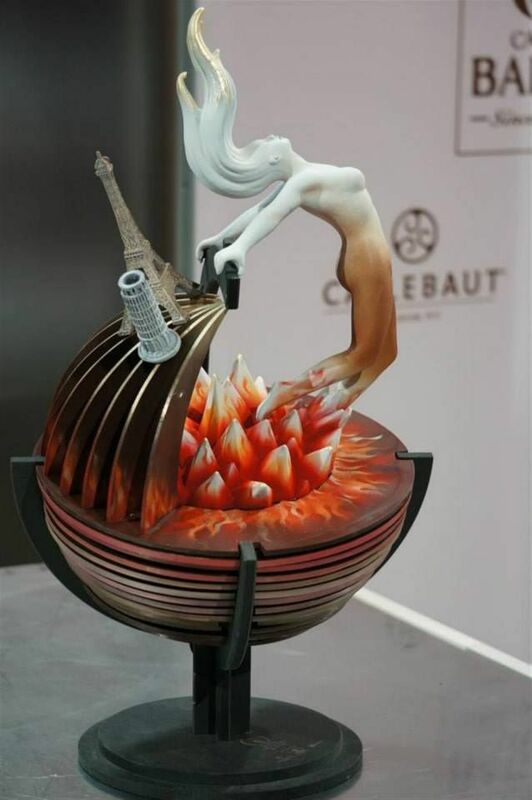 Competing for Australia at The World Pastry Team Championships, judging The World Chocolate Masters in Paris, managing the Australian Pastry team in The Patisserie Grand Prix Japan, demonstrating as an ambassador for Callebaut chocolate and of course opening Savour. Why did you decide to open your own school in Melbourne? I noticed a large gap in what was being created in Europe in comparison to what was being produced in Australia. We really had no artesian chocolate stores and very few patisseries. I was fortunate to have had some experience and training in Europe so I not only wanted to share my knowledge but also bring some of the leading pastry chefs and chocolatiers from around the world to teach at Savour. How was Savour Chocolate & Patisserie School when it opened and how it has evolved to today? When Savour first opened I taught about 2 classes a week from a small kitchen I did everything from teaching, office work and cleaning. I now employ ten staff and operate seven days a week. We moved the school two years ago to a great new facility which includes a retail outlet selling chocolate and speciality equipment. Which are the main principles of your training philosophy? 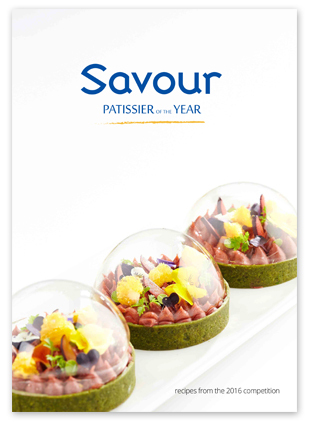 Savour offers boutique chocolate & patisserie classes. Our short courses are structured to suit the beginner through to the dedicated professional. We always aim to use the best ingredients and offer expert tuition in an encouraging learning environment. We aim to innovate and inspire professionals throughout the world. What pastry level you may find in Australia nowadays? The pastry standard, and more so the chocolate, has improved dramatically in Australia over the last 10 years. Melbourne is the food capital of Australia with some fantastic chocolate & patisserie stores. What future plans do you have for your school? I would like to keep Savour as a boutique school that focuses on being leaders in the industry. What is the most important message you transmit to your students that want to become good patissiers and chocolatiers? We have had more than 80 students so far open successful chocolate and patisserie business around the world. The most important advice I can give to a student is that they need to continue learning to maintain success. You regularly attend the most important pastry championships in the world, why? I have viewed every world championship over the last two years. I always learn a great deal from viewing the competitions and I love meeting other passionate pastry chefs. I would like to compete again internationally one day! This Q&A was originally published in So Good Magazine. This entry was posted in Q&A and tagged callebaut, callebaut chocolate, how to become a chef, kirsten tibballs, online classes, pastry chef, pastry courses, pastry school, savour, savour chocolate, savour chocolate and patisserie school, savour online classes, savour school, top culinary schools on July 15, 2015 by SavourSchool. What is a show piece? What makes pastry chefs and professionals strive to perfect these creative structures that flout gravity. I often ask myself why show pieces? They are impossible to sell due to the high labour content, they often don’t last long due to the fragile nature of the ingredients, and they take hours sometimes weeks of painstaking work to form. New Chocolate Showpiece by Savour Chocolate & Patisserie School Paul KennedyI do know why the increasingly popular constructions are made. What better way to showcase your skills on a grand scale. You must be able to create a showpiece to enter most international competitions. We as professionals are now often judged as a tradespeople by the strength of our show piece making skills. The top of their game Stephane Treand, Stephane Leroux, Frank Haasnoot and Stephane Klein are closely monitored by professionals around the world for the next trend or fashion in show pieces. Show pieces are usually created by one of three mediums, chocolate, sugar and pastillage very few pastry chefs specialize in all three areas. The main one we lack skill and expertise in Australia is sugar but we certainly shine through with chocolate with Australia hosting some of the best in the world arguably Paul Kennedy is one of the leaders in Australia. The first step in starting the journey on a new show piece is understanding the medium you are working with for example the ability to temper chocolate. Next is the design, to start with it is easier to copy a simple show piece you have seen and liked. Draw the piece in pencil first ensuring the design flows and is not too static so the piece looks like it is moving. Cardboard is an easy medium to use to create your structure for chocolate. A lot of professionals will make a mock up of the show piece in cardboard before creating it with expensive ingredients. With our climate in Australia any type of sugar structure will deteriorate quickly, chocolate with the correct temperature controls can last for years. One of the most important points when creating a show piece is to keep the piece clean and neat. Also try to emulate air and lightness by creating negative space in the piece so it is not too heavy. If you are recreating a life like item make it as close as possible to the natural equivalent. For example a flower should reflect a native flower but on a larger scale. Your structure should be solid to support all your decorations on the piece, but once the show piece is finished your structure should be almost invisible and just supporting your decorations. Chocolate show pieces date back over 70 years in history which started out as piped chocolate filigree assembled into three dimensional centre pieces followed by carved sculptures from a solid block of chocolate. Then we moved onto modelling chocolate figures, modelling chocolate created from glucose and chocolate. With the invention of chocolate cool spray chocolate show pieces improved in leaps and bounds. Chocolate cool spray is compressed cold air in a aerosol that will instantly set chocolate, which means you no longer have to stand there holding a piece in place waiting for the chocolate to set. We now see incredible architecturally designed pieces that are getting more sophisticated each year. 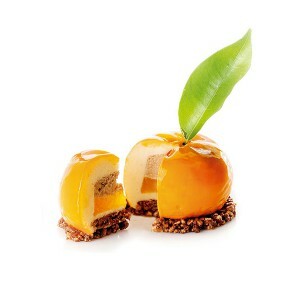 Savour has just launched the newest chocolate showpiece creation for students to create in class. The western themed showpiece featuring various skulls, intricate flowers and life-like barbed wired. 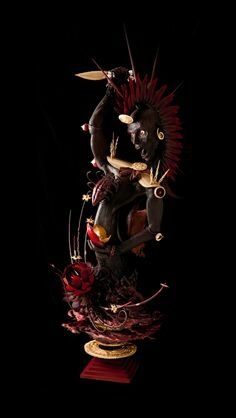 This entry was posted in News and tagged becoming a chef, callebaut, chocolate showpiece, chocolate showpieces, cooking classes, cooking classes melbourne, cooking courses, cooking school, culinary art school, culinary arts, culinary schools, frank haasnoot, pastry courses, paul kennedy, paul kennedy pastry chef, savour chocolate and patisserie school, stephane klein, stephane leroux, top culinary schools on June 16, 2015 by SavourSchool.